When it comes time to upgrade your HVAC system, from the furnace, to the air conditioning unit, to the ductwork, or all of the above, you know it’s going to cost a pretty penny. Even lower-end systems could set you back thousands of dollars. It’s no surprise that you want to get the greatest use value and longevity out of your system to offset this cost. The best way to do this is to choose a high-end system from a reputable manufacturer and schedule regular services to keep your HVAC equipment in ship shape and functioning at peak levels for as long as possible. You might also want to select an energy-efficient system that lowers your heating and cooling costs for immediate and lasting return on investment. Even with proper care and repair, your system will eventually deteriorate and fail. How long can you reasonably expect your HVAC system to last? How often do you need to schedule appointments for inspection, cleaning, and repair? Here’s what you need to know to get the most out of your HVAC equipment. How Often Does HVAC Need to be Replaced? The life of your HVAC equipment will depend on a variety of factors, including the brand and model you choose, whether or not equipment capacity is right for the size of your space and your needs, how much demand you place on your HVAC system, and how well you maintain equipment, just for example. While some system or components could last as long as 20-25 years or more with limited use and optimal care, you can generally anticipate somewhere between 10-20 years of usage. Furnaces are often rated to last about 15-20 years, on average, while air conditioning units tend to fall in the 10-15-year range. Still, you can get a lot of value from your system by choosing the most efficient equipment to offset up-front costs over time through reduced utility bills. How Often Does HVAC Need to be Tuned Up? In order to get the greatest longevity from your new HVAC system, you need to keep it properly maintained. This means scheduling regular service appointments. How often should tune-ups be performed? 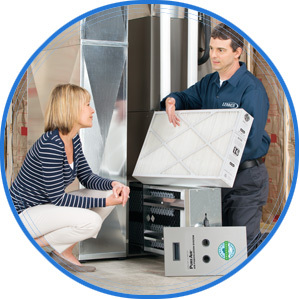 You’ll want to set up a schedule of HVAC maintenance service visits twice a year – once in spring and once in fall. The springtime service will ensure that your AC unit is in good shape in time for the hot summer months, while the fall service will focus on your furnace so that you don’t have to worry about whether or not the heat will kick on when freezing temperatures hit. If you suspect issues with your HVAC system in between, you can always request an off-schedule visit from a trained HVAC technician to check for problems and implement needed repairs. With proper maintenance you should be able to avoid costly emergency situations and enjoy your HVAC system for years to come.